Press releases play an important role in society today. For some, mastering this particular skill may be a great boost to their success - if you’re keen on becoming a press release pro, it’s best that you, first, understand what a press release is and what purpose it serves. So, what’s a Press Release? To put short, a press release is a written communication which conveys straight-to-the-point information about an event, circumstance, or any sort of happening linked to a business or organization. These writings are provided to the media via an array of means – all in the purpose of generating hype for the subject. There are two basic kinds of press releases. While some are “immediate release” pieces that allows anyone to repeat the information as soon as it is made public, others may have time limits that only permit particular media sources to repeat them as soon as it is released. Only after that will it be offered to other sources such as news services or websites to be published. Press releases are vital element of all public relations strategy. If this is nailed, it would pique the curiosity of journalists and turn out as a gateway to greater coverage on the particular announcement. Does this sound tough? Well, rest assured this isn’t rocket science and anyone can be a PR pro in time! Just like how our first impressions matter in the world, the same applies to the writing universe - this means, you have to dress to impress! Kick off your press release with a good, attention-grabbing headline that will sure pull in journalists on the hunt for good stories. That said, be sure that it is appealing as it is accurate. Who isn’t busy these days – between jumping from meetings to meetings to scrolling through our never-ending Instagram feeds, we are often strapped for time. 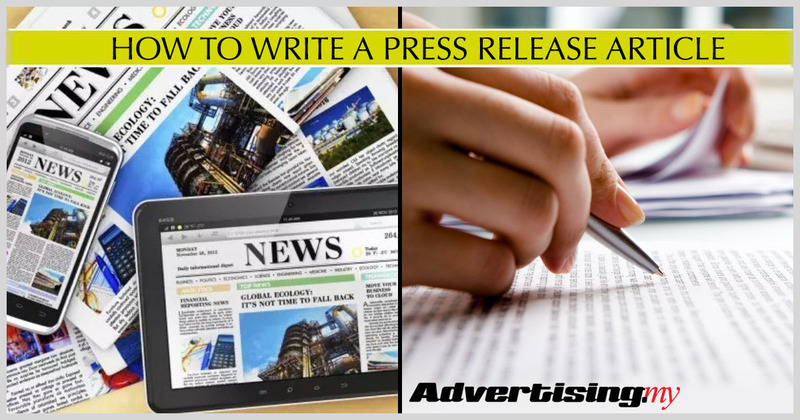 With that in mind, open your press releases by getting right to the point as this will be enough for those who only read the first few sentences and scan the remaining document. As much as your press release should be appealing, it’s more important for it to be useful. So, pack on your press release with hard numbers that provide roots to your event or announcement. Press release readers are expecting the truth so make them believe what you’re saying and it will be much more compelling. •	Who is this about? •	What is the news element? •	When is this happening? •	Where is this taking place? •	How is this taking place? It’s not enough that you merely proofread your press release a couple of times; get other people around you to proofread it as well prior to it going public. It only takes one tiny mistake to dissuade a journalist or media organization from taking you seriously – you’re walking on eggshells here, so trample with care. Have you ever made eggs but forgot the salt? Notice how bland it tastes – well, that’s exactly how your press release would be if you skip on the real-life quotes. This is a vital source of flavour that is pretty hard to be replicated. Try to include a good quote from someone affiliated to the announcement to give it that does of human element. Don’t Forget These Crucial Information! The content should be hogging the spotlight but it wouldn’t matter if you forget to include the person in-charge of it or your own contact information for reporters to follow up with. Remember to include an e-mail address and phone number on the release copy, somewhere along the top of the page. Yes, press releases should be, at best, one page long as journalists are more attracted to concise but condensed documents. However, this shouldn’t stop you from providing relevant links to the organization’s website as well as the brand itself so that prospective journalists will have easy access into learning about their mission and credibility.